OBJECTIVE. The purpose of this study was to determine the performance of real-time sonoelastography in the differential diagnosis of salivary gland tumors. SUBJECTS AND METHODS. 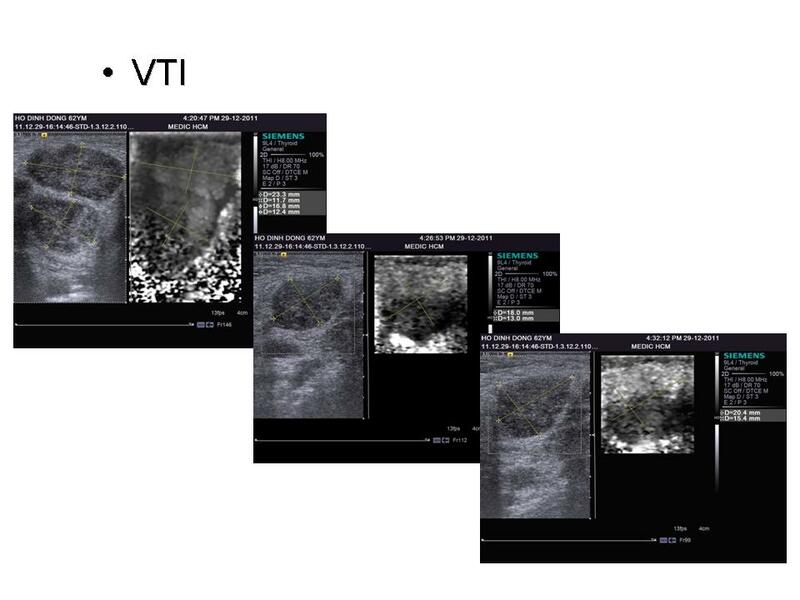 Between 2007 and 2010, 74 salivary gland tumors were examined by ultrasound and sonoelastography in 66 patients. Lesions were graded according to a 4-point elastography score. Surgical excision and histopathologic examination were performed in all cases. 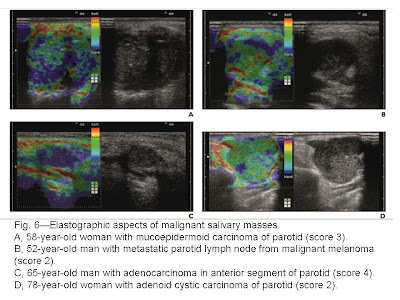 The difference in elastographic score between benign and malignant masses and that between pleomorphic adenomas and Warthin tumors were evaluated. RESULTS. Of the 74 salivary tumors, 63 were located in the parotid, and 11 were in the submandibular gland. There were 18 malignant and 56 benign tumors. 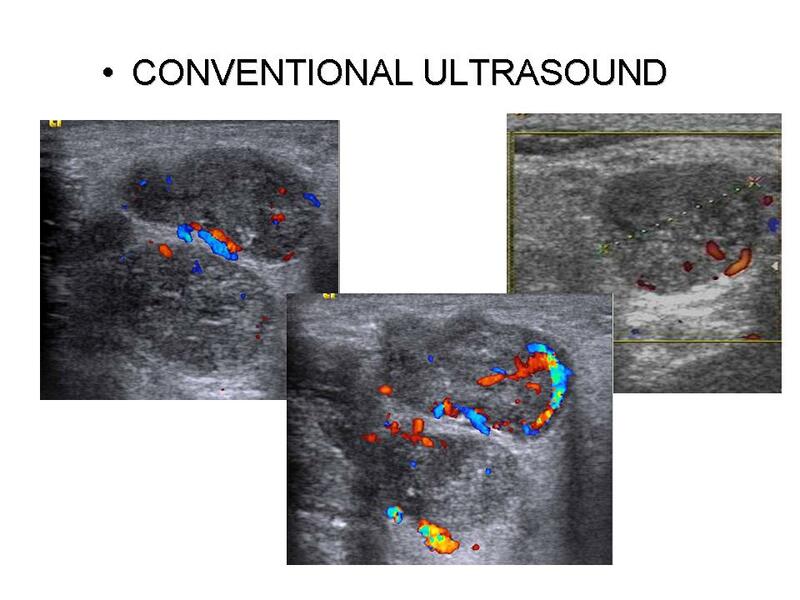 The mean (± SD) elastographic score was 2.58 ± 0.87 for pleomorphic adenomas, 2.15 ± 0.80 for Warthin tumors, 2.00 ± 0.57 for other benign tumors, and 2.94 ± 0.87 for malignant tumors. For benign tumors overall, the mean elastographic score was 2.41 ± 0.87. The difference in elastographic score between benign and malignant tumors overall was statistically significant (p > 0.05), but the difference between malignant tumors and pleomorphic adenomas and that between Warthin tumors and pleomorphic adenomas were not statistically significant. Using cutoff values between scores 2 and 3 and scores 3 and 4, there was no statistically significant difference between benign and malignant tumors. CONCLUSION. 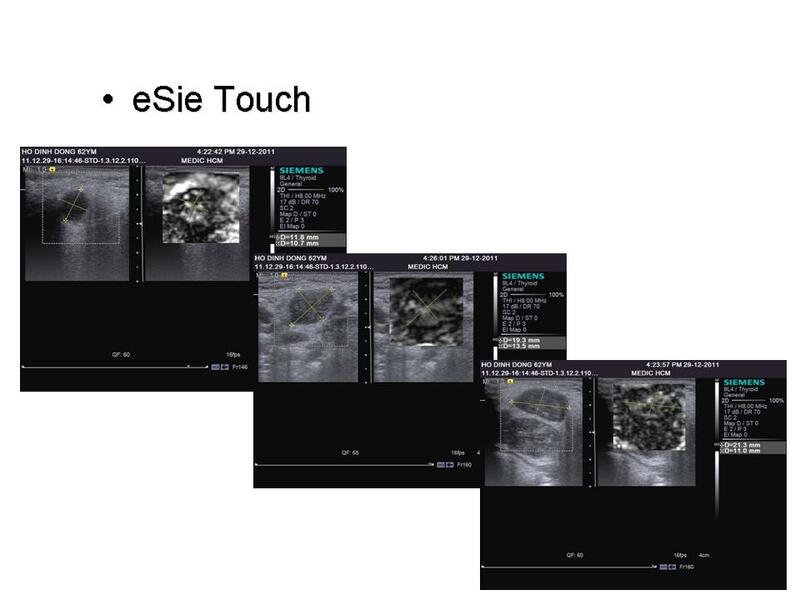 Although this study revealed a difference in elastographic score between benign and malignant tumors, detailed analysis did not provide consistent results. 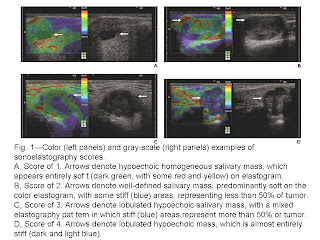 Consequently, real-time sonoelastography appears to be a limited technique in the differential diagnosis between benign and malignant salivary masses. Man 62 yo suffered from swollen parotid region both 2 sides and submandibular nodes for 1 month. Ultrasound detected ovoid lesion in parotid gland with small lacuna and hypervascular. 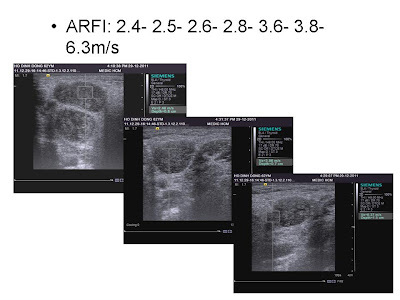 ARFI technique shows lesion in dark mixed color in comparison to parotid parenchyma (VTI) and stiffen with a range of elastic velocity from 2.4 to 6.3m/s. 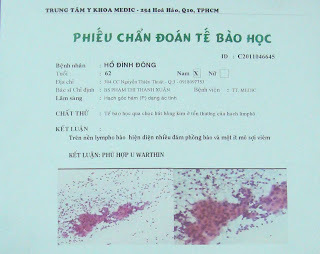 FNAC was done and pathohistological result prove a Warthin tumor of parotid.